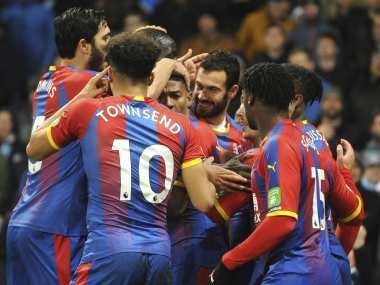 Manchester: Manchester City slumped to a second defeat in three Premier League games to hand Liverpool an early Christmas present in the title race as Crystal Palace shocked the Etihad with a 3-2 win on Saturday. Chelsea were also stunned at home by Jamie Vardy's winner for Leicester in a 1-0 victory at Stamford Bridge to allow Arsenal to move level on points with their London rivals in fourth after a 3-1 win over Burnley. 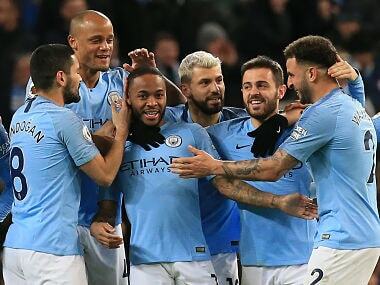 And City failed to cut the gap as they dropped points at home for the first time this season despite going ahead through Ilkay Gundogan's header. 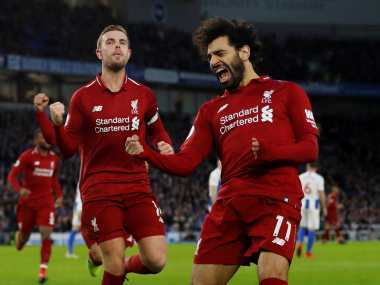 But despite incessant pressure, the champions could not find an equaliser to hand Liverpool a huge boost ahead of their trip to City on 3 January. 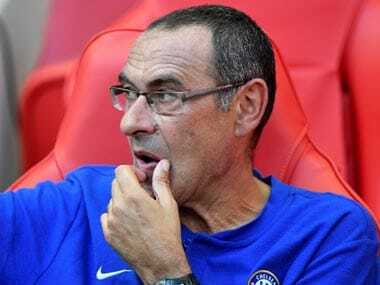 Chelsea were also beaten at Stamford Bridge for the first time under Maurizio Sarri as Vardy fired home James Maddison's pass to give the Foxes their first victory in five games. Mesut Ozil made his return to Unai Emery's starting line-up in the Premier League for the first time since November 11 and helped set up Aubameyang's opener. "We want Mesut like today," said Emery. Aubameyang smashed home his 12th Premier League goal of the season to move ahead of Mohamed Salah as the division's top scorer early in the second period. The Clarets are now two points adrift of safety as Southampton's upturn in fortunes under Ralph Hasenhuettl continued with a 3-1 win at Huddersfield thanks to goals from Nathan Redmond, Danny Ings and Michael Obafemi. 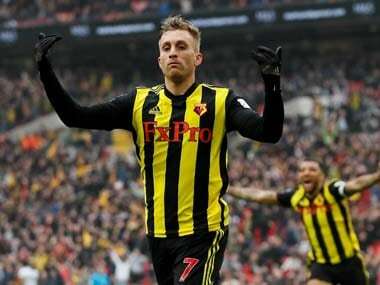 West Ham's four-game winning run was ended by Watford with Troy Deeney and Gerard Deulofeu netting in a 2-0 win for the visitors. Bournemouth are also level on points with Manchester United as David Brooks's double beat 10-man Brighton 2-0, who had England international Lewis Dunk sent off.